School can be a challenging time for some children, so ensuring they are as comfortable as possible is important for their physical and mental development. Here are a few simple and easy to follow tips to remember. Make sure the backpack is the right size for your child, no wider than their chest and below the hollow of their back. Always wear both straps, tell the kids it’s not cool to ‘one strap it’ anymore. Try to reduce time spent wearing the backpack to no more than 30 minutes at any one time. 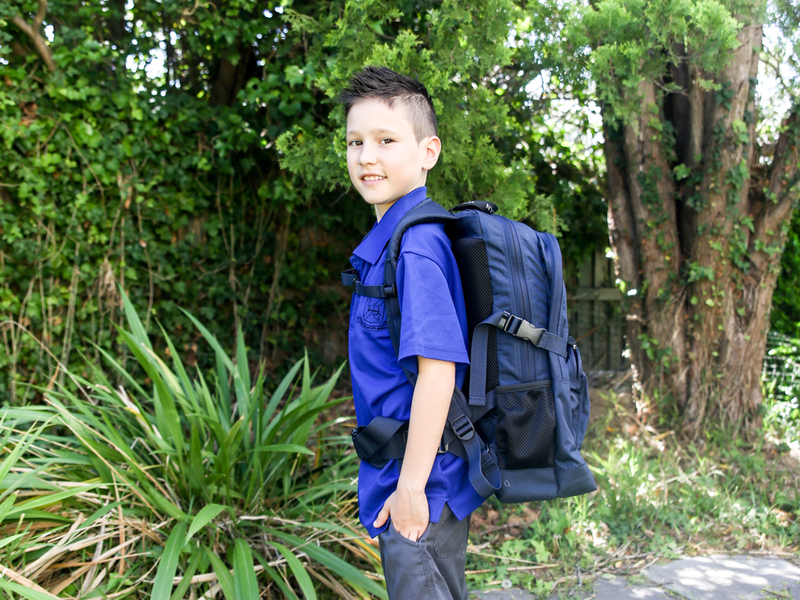 If you’re looking for a backpack that ticks all the boxes above, the ACA along with Spartan School Supplies and Macquarie University have developed the ‘Chiropak’. Find out more about the Spartan ‘Chiropak’. Parents should keep in mind that it is ok to have some mild to moderate levels of spinal pain that is associated with physical activity – this pain is more often benign and self-limiting. Professional help should be sought if pain persists however. Physical activity is a great way for kids to make friends and to develop physical and social skills. Australia’s Physical Activity and Sedentary Behaviour Guidelines for Children aged 5–12 Years recommends children should undertake at least 60 minutes of moderate to vigorous physical activity everyday. As an added bonus, this will assist in limiting their screen time as well. Use of electronic media for entertainment should be limited to less than 2 hours per day. Finally, reduce diets high in salt, sugars and simple carbohydrates. Your local ACA chiropractor can advise you on selecting the right backpack and making sure it is fitted correctly to suit your child’s current level of development as well as on healthy lifestyle management. Health.gov.au. (2018). Department of Health | Australia’s Physical Activity and Sedentary Behaviour Guidelines. [online] Available at: http://www.health.gov.au/internet/main/publishing.nsf/content/health-pubhlth-strateg-phys-act-guidelines. ← Watch your spine when surfing this summer!